Rockets enter camp with high expectations. HOUSTON, Texas (KTRK) -- With the start of a new season, the Houston Rockets enter camp with high expectations. In addition to signing Chris Paul in the offseason, the Rockets understand the key to winning a championship starts on the defensive side. "We know we have to be better defensively," Paul said. 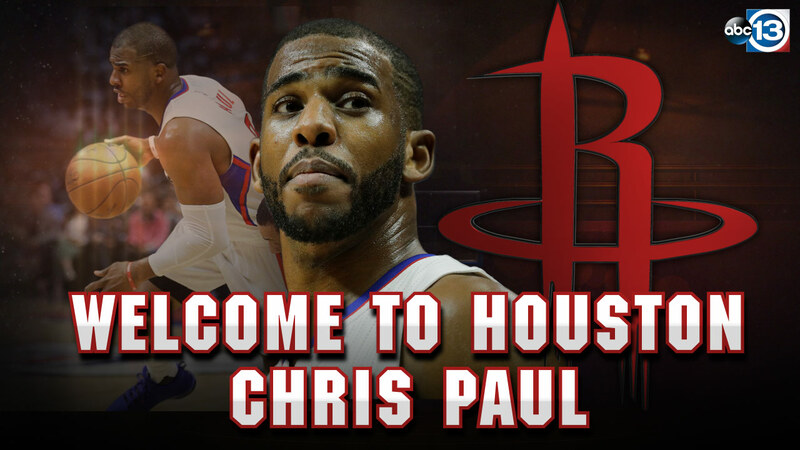 Chris Paul was traded to the Houston Rockets for Patrick Beverly, Lou Williams, Sam Dekker and a first round pick next year. The Rockets will look to build chemistry during camp.